An account of the Greek, Italian and other anarchists and radicals active in Egypt during the last decades of the 19th and the first decades of the 20th century. On April 1, 1882, Egyptian charcoal workers began a strike (the first in the history of the country1) against Suez Canal at Port Said company. The strike had strong anarchist participation, perhaps incitement. Shortly before the then known anarchists Dimitris Karampilias and Panos Makhairas arrive in Egypt from Greece (1901-1902), another anarchist from Athens Nickos Doumas, former member of the Central Association of Kallergis’ Socialists and the Socialist League “World” in Athens, had settled in Cairo. In particular, under the latter's initiative, in 1907 an anarcho-syndicalist newspaper appeared with the title "Worker", circulated in Alexandria and Cairo. In this newspaper also participated doctor G. Saraphides, Zacharias Hatzopoulos (1880-1935, brother of familiar Greek socialist Costas and anarchist Dimitris Hatzopoulos, who in 1913 published in Alexandria a booklet entitled "Joy and Hedonism in the Revolution"), George Telemitis, Stavros Kouchtsoglous (who worked at a cigarette factory at Tsanakli), Iosif Chionis and K. Asteriadis. Also, during his anarcho-syndicalist period in Egypt, Nickos Doumas wrote and published some books and pamphlets and corresponded with various socialist newspapers in Greece, amongst them the newspaper “O Ergatis” ("The Worker") from the city of Volos (in Thessaly, central Greece). Basically, he was a correspondent of this newspaper in Egypt, in which signed under the pseudonym "Worker"). Generally, apart from union and strike activism and anarchist propaganda, several Greek anarchists and libertarians in Egypt dealt with both theoretical translations of anarchism, such as M. Bakunin, and different types of literature. In 1904 the magazine “Nea Zoi” ("New Life") started, in 1911 came another entitled “Grammata” ("Letters") and in 1916 "Phoenix" and "Propylaea, while most anarchist and libertarian intellectuals participated also in the scattered groups of demoticists which were active during this time in Egypt. A journal article by Anthony Gorman on the Free Popular University (Università Popolare Libera) in Egypt, which was declared officially open in Alexandria on the evening of Sunday, 26 May 1901. Inspired by Élisée Reclus and organised mostly by Italian anarchists, this radical initiative sought to 'promote the diﬀusion of scientiﬁc culture and literature among the popular classes’ on the basis of secularism, internationalism and anti-authoritarianism. The UPL was the most radical initiative in education in Egypt before the First World War and part of a broader pattern of anarchist activity that would play a significant role in the development of the labour movement, grassroots political activism and progressive thought in the early years of the twentieth century. Founded on a platform of resolute independence, it aimed to break free from national and religious frames of reference by offering a programme of free, modern and accessible education for all, and particularly ordinary people. Although it drew intellectual and political inspiration from Europe, the UPL in Egypt had its own special character, formed from revolutionary intent and adapted to the reality of a diverse religious, ethnic and linguistic society. See also Anthony Gorman, Foreign Workers in Egypt 1882-1914: Subaltern or Labour Elite? In the last days of October 1909, a play celebrating the life and work of Francisco Ferrer was performed in Beirut. Ferrer, a Spanish social and political activist whose ideas combined elements of anarchism and socialism, had been executed three days before. Ferrer was a pedagogue who had created a modern curriculum and established modern schools in Barcelona based on the principle of “class harmony,” a project very similar to the ideas behind the Université Populaire that appeared in France at the same time. Ferrer’s ideas enjoyed tremendous popularity throughout the world both because of his pedagogy as well as his ideology, which combined Freemasonry, free thinking, a strong class consciousness, anarchism, and anticlericalism. He became an icon of the world’s leftist movements in 1909, when he was falsely accused by the Spanish Church and condemned to death because of his alleged involvement in an anarchist “terrorist” attack. His trial and condemnation triggered demonstrations and protests throughout the world, from Italy to Mexico. In Beirut, a play about Ferrer was improvised on the spot. Written in four hours by Daud Muja‘is and Emile Khuri, the script was promptly memorized by the actors. Remarkably, the cast consisted of sixty people, most of whom must have been nonprofessional actors recruited locally. The performance of the Ferrer play in Beirut was not an isolated expression of support for leftist ideals. Indeed, there existed an entire network of radical leftist intellectuals in Syria active in Beirut and Mount Lebanon in the first years of the 20th century. By the time of the Ferrer play in 1909, members of this network actively sought to eliminate poverty, promoted ideas of social justice, denounced the exploitation of workers on moral and economic grounds, were fiercely anticlerical, identified with international leftist icons (or at least European ones), and referred to themselves and were referred to as radicals or socialists. Members of this network were involved with the periodicals al-Nur (Alexandria, 1904–1908) and al-Hurriyya (Beirut, 1909–1910?). They promoted and diffused radical ideas through newspapers, as well as through a wider social network that connected them to the Nahda core. This circle was able to formulate ideas and to disseminate and apply them through free reading rooms, schools for workers, and industrial and agricultural exhibitions. More important, members of this circle were profoundly convinced of the primacy of the theater in promoting social justice by denouncing exploitation and educating their audiences about socialism. An Italian anarchist journal, Il Lavoratore (The Labourer), began printing in Alexandria, Egypt, in 1877, and Alexandrian anarchists were represented at the 1877 Verviers Congress of the Saint- Imier International. 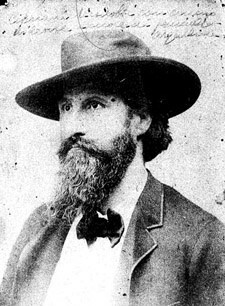 Malatesta himself fled to Alexandria in September 1878, but was deported when Italian workers organised a demonstration outside the Italian consulate to applaud an assassination attempt against Italian King Umberto I by a republican. He represented an ‘Egyptian Federation’ at the 1881 International Social Revolutionary Congress of the anarchists, with a mandate from ‘bodies from Constantinople and Alexandria.’ Malatesta returned to Egypt in 1882, – the year the country was invaded by the British – where he appears to have been involved in the ‘Pasha revolt’ that broke out that year, and which was suppressed by British forces. In 1884, the paper La Question Sociale (The Social Question) appeared in Egypt. In 1877, the journal L’Operaia (The Worker), appeared in Tunis, followed in 1881 by the Italian anarchist journal Imola (Inflame), published by Andrea Costa, and another, La Protesta Humana (Human Protest) was subsequently published in the city before relocating to Italy in 1896. The Egyptian newspaper al-Hilal (The Crescent) reported on 18 March 1894 that a Greek worker was arrested in Alexandria for distributing ‘anarchist leaflets’ calling on workers to celebrate the anniversary of the 1871 Paris Commune. In 1901, an anarchist paper entitled La Tribune Libre (The Free Tribune) was also being published in Alexandria. In Alexandria, an Italian-language anarchist weekly, l’Operaio (The Worker) began publishing in 1902 and ran until the following year. In 1904, the Arabic-language radical journal al-Nur (The Light) was established in Alexandria by Daud Muja‘is, the Syrian-Lebanese editor of al-Hurriyya (Freedom) of Beirut (1909-1910?). According to Khuri-Makdisi, al-Nur had a correspondent in Cairo, was published until 1908, increasingly took an anarchist line and had subscribers among the Syrian-Lebanese Diaspora as far afield as Haiti and Brazil – one of the best examples of the extent of North African anarchist influence. The Italian-language Cronaca Sovversiva (Subversive Chronicles), published in Vermont, United States from 1903 onwards by Luigi Galleani, reached ‘far beyond the confines of the United States’ including North Africa and Egypt. Italian radicals played a key role in founding the labour movement in Egypt, forming a People’s Free University in Alexandria in 1901, and activists associated with the University and Le Tribune Libre appear to have been amongst those involved in founding ‘international’ unions in early 20th Century Egypt. Most notable was the International League of Cigarette Workers and Millers of Cairo in 1908, ‘open to workers of all nationalities, Egyptians as well as foreigners,’ and apparently including ‘production workers other than the skilled rollers.’ Other examples of integrated labour solidarity existed. A meeting in 1901 in support of striking garment workers (including Egyptians) in a Cairo café included a speech by the president of the cigarette rollers’ craft union, and a reading of the workers’ demands in Arabic as well as Greek, Italian, Hebrew and German. This was followed by a march of 3,000 chanting workers through Cairo. What is interesting is that European cigarette workers living in Egypt were radicalised by the likes of the Egyptian syndicalists and returned to Europe to spread anarchist ideas there. Two notable examples of this are the anarcho-syndicalist Konstantinos “Kostas” Speras (1893-1943) and the anarchist-communist Stavros Kouchtsoglous (1878- 1949). Both were radicalised in Egypt and returned to Greece to become the leading lights in the revolutionary trade union movement there. Speras was fluent in Arabic and Kouchtsoglous was involved in numerous worker demonstrations in Alexandria and Istanbul. They both helped establish anarcho-syndicalist trade unions in Greece including the syndicalist minority within the General Workers’ Confederation of Greece (GSEE) in 1918. In the late nineteenth century and early twentieth, a wide variety of radical leftist ideas began circulating among segments of the populations of Eastern Mediterranean cities, especially in Beirut, Cairo and Alexandria, then among the most culturally and politically important cities of the Arab Ottoman world. These ideas, which were selective adaptations of socialist and anarchist principles, included specific calls for social justice, workers’ rights, mass secular education, and anticlericalism, and more broadly a general challenge to the existing social and political order at home and abroad. Those who embraced such ideas expressed them in articles, pamphlets, plays, and popular poetry (in Arabic, but also in Italian, Ottoman Turkish and Greek), in literary salons, and theatres, and during strikes and demonstrations, disseminating radical thought through educational, cultural, and popular institutions. Radicals formed networks that were connected, informationally, politically, and organizationally, to international and internationalist movements and organizations that sought to promote leftist ideas and implement radical projects in various corners of the world. Beyond these formal and official connections lay an entire worldview and way of being-in-the-world, a global radical moment that radical thinkers and activists in the Eastern Mediterranean partook in and helped shape. Ilham Khuri-Makdisi teaches courses in Middle Eastern history, World history and urban history. She is particularly interested in Mediterranean cities in the late 19th, early 20th centuries and the movements of people and ideas. Her current research focuses on the articulation and dissemination of radical ideas such as socialism and anarchism, in eastern Mediterranean cities. Specifically, she analyzes the establishment of migrant networks of intellectuals, dramatists and workers, and their roles in the spread of radical ideas in and between Beirut, Cairo, Alexandria. She argues that the presence and activities of such (nominally 'peripheral') radical networks were central to the making of a globalized world and to the formulation of alternative visions of radicalism. Over the past century and a half of the Italian language anarchist movement, its militants and groups migrated to all five continents. From the mid-19th to the start of the 20th century, it had a significant presence in Cairo and in Alexandria in Egypt.